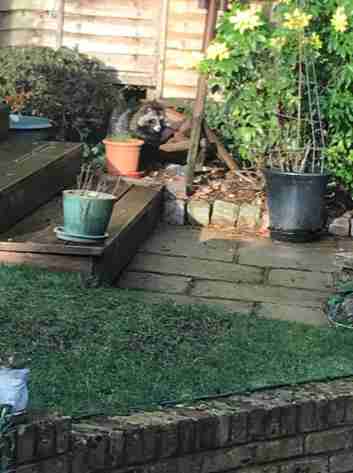 In September, Ben Crane and his family were hanging out at home in England when they suddenly noticed an animal hanging out under their deck. As the weeks went by, the animal stayed under the deck, coming and going as he pleased — and each time the family laid eyes on him, they still couldn’t figure out what kind of animal he was. “We thought it could be a badger or silver fox. However, having seen it a couple of times an evening and the strange noises it was making, we were intrigued to find out what this could be as we have never seen anything like this before,” Crane said in a press release. Finally, the animal wandered out into the family’s backyard during the day, and stayed still long enough for Crane to snap a photo of the strange visitor. 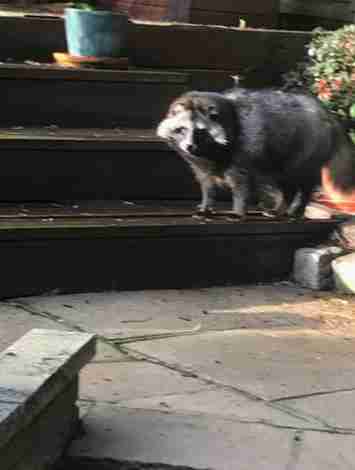 After sending the image around and doing some Googling, the family realized that the animal who had taken up residence under their deck was actually a raccoon dog. Raccoon dogs, also known as tanukis, are native to East Asia but often end up being bought as exotic pets. Raccoon dogs are wild animals and do not make good pets, as they need a lot of space and resources that they can only get from living in the wild. Once the family figured out exactly what kind of animal their little visitor was, they sent his picture to the RSPCA in hopes that they could help him. 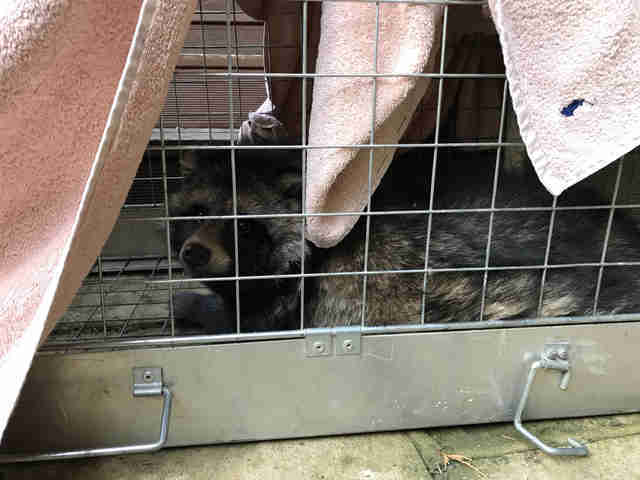 In early January, Wright helped the family set a humane trap in order to safely catch the raccoon dog, and after they filled it with some yummy treats, it wasn’t long before the raccoon dog was secured inside the trap. Wright came out to collect the raccoon dog and scanned him for a microchip, and found he didn’t have one. The RSPCA still has no idea where he came from, but have a strong suspicion that he was being kept as someone’s pet and the person didn’t know how to care for him properly. 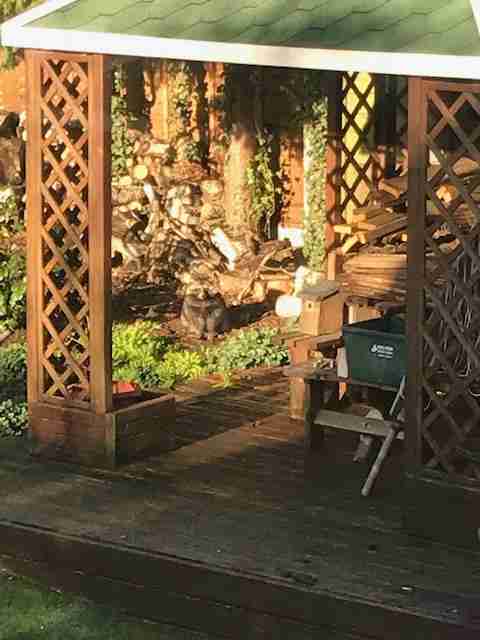 “We believe this raccoon dog is an escaped pet who ventured into this garden after being set free, abandoned or escaping from his enclosure,” Wright said. 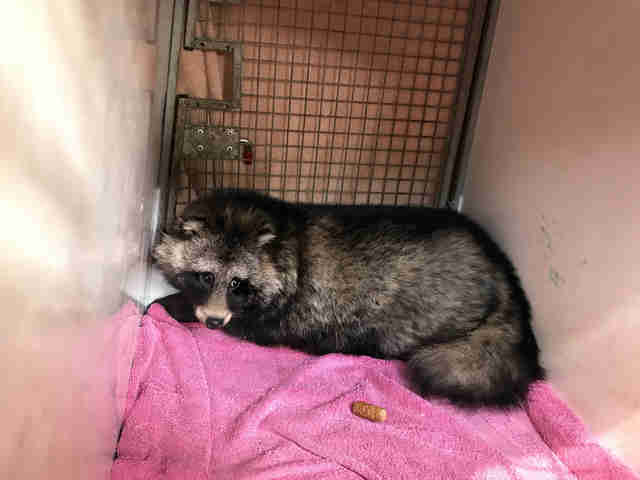 The raccoon dog has since been transferred to a sanctuary, where he can receive the specialized care that he needs.